Americans like to spread. Whether it’s sweet or savory, no English muffin or sliced baguette is complete without a slathering of chunky strawberry jam or a 2-inch thick schmear of cream cheese. For the most part spreads aren’t nutritional all-stars though. Butter and margarine are both terrible for different reasons, cream cheese and mayonnaise aren’t much better, and most jams and jellies are more sugar than fruit. (My beloved) Nutella’s first two ingredients are sugar and palm oil, unless you make your own. So what’s a person to do when faced with a naked cracker or piece of dry toast? Nut butters (peanut, cashew, almond) are pretty fantastic with their protein and fiber and mashed avocado gets an “A” for healthy fats. But I’m always on the lookout for something new to add to my spreadable repertoire and I’ve got a unique one for you today: Mediterranean Tahini Spreads from Sesame Kingdom. You know tahini, right? It’s sort of like nut butter, only made with sesame seeds instead. If you’re a fan of falafel, you’ve likely had it mixed with lemon juice and drizzled over your pita sandwich. I don’t find it too palatable on its own, but its unique flavor adds rich layers of taste to many of my favorite salad dressings and sauces. The folks at Sesame Kingdom really like the stuff, and decided to go a step further with this versatile and nutritious seed paste. 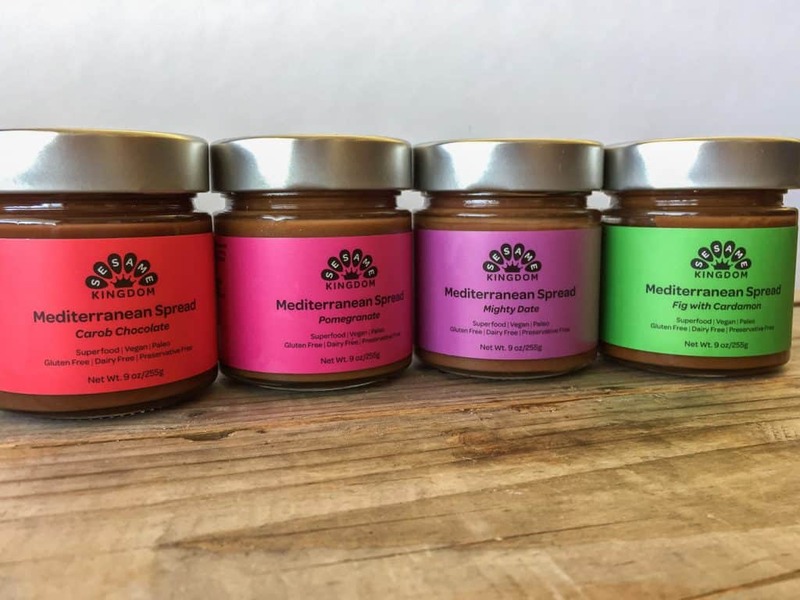 They used organic sesame seeds as the base and added things like olive oil, dates, and strawberries to make a collection of vegan, gluten-free, nut-free spreads with no refined sugar. Let’s start with the best, shall we? My absolute favorite was, not surprisingly, the Carob Chocolate. 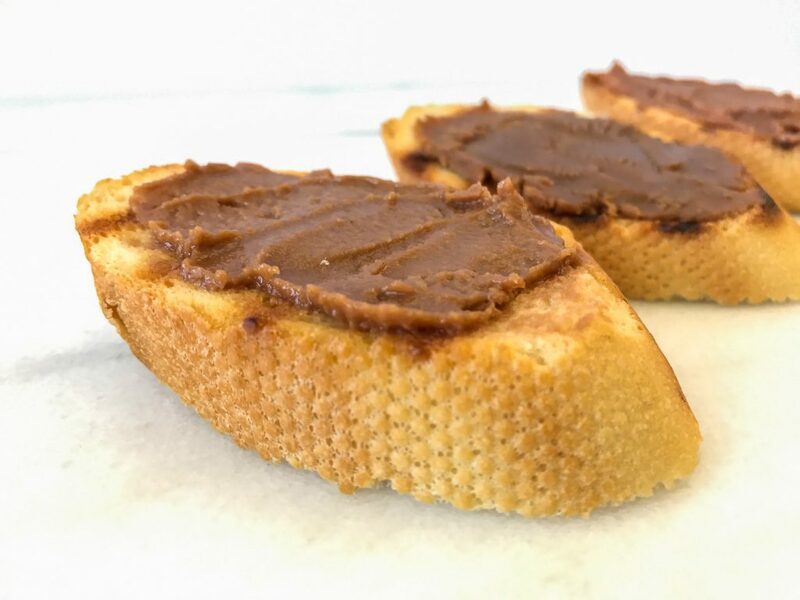 I’ve written about my love of Nutella many times before (part 1, part 2, part 3, and part 4) and I’m continually searching for a reasonable alternative. This one comes awfully close. There are no hazelnuts, of course, but it is smooth with an entirely lovable fudgey quality that easily satisfied my sweet tooth. 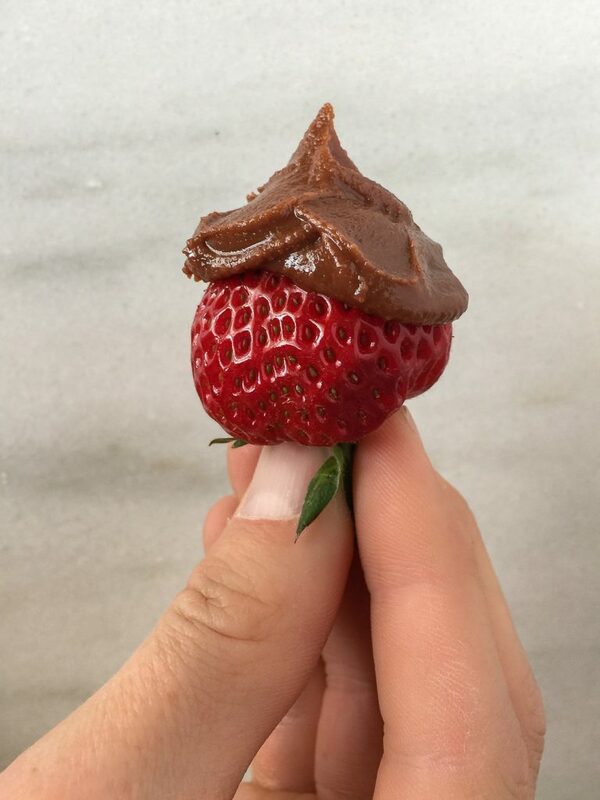 And it was absolutely divine on strawberries. 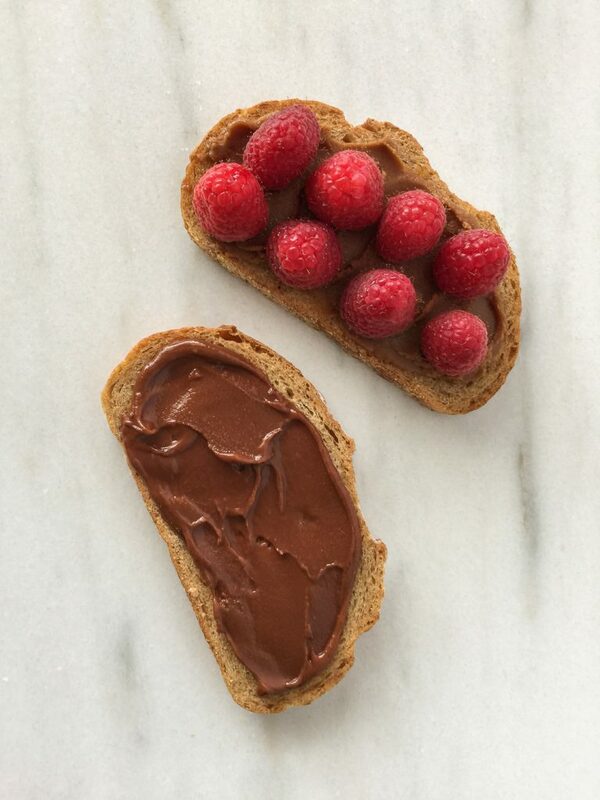 The Carob Chocolate on whole grain bread with fresh raspberries makes for a sweet and fruity breakfast. Like all spreads you have to keep on eye on portion size or the calories can add up quickly. The nutrition facts for 1 tablespoon are pretty similar among the flavors: 110 calories, 8 g fat, 1 g saturated fat, 0 mg cholesterol, 15 mg sodium, 7 g carbohydrate, 1 g fiber, 4 g sugar, and 2 g protein. Calcium and iron make a valuable contribution at 6-8% Daily Value. All this nutrition comes at a price, though: $13.00 per jar to be exact, plus shipping. I was quite happy to sample the whole gamut, but the only one I liked enough to keep as a regular pantry staple is the Chocolate Carob, and I’ve already re-upped. My second jar is in the mail. With all of the tempting hydrogenated and frosting-like spreads available on the grocery aisles and on the web, I’m grateful for the companies trying to give us some reasonably healthy alternatives. 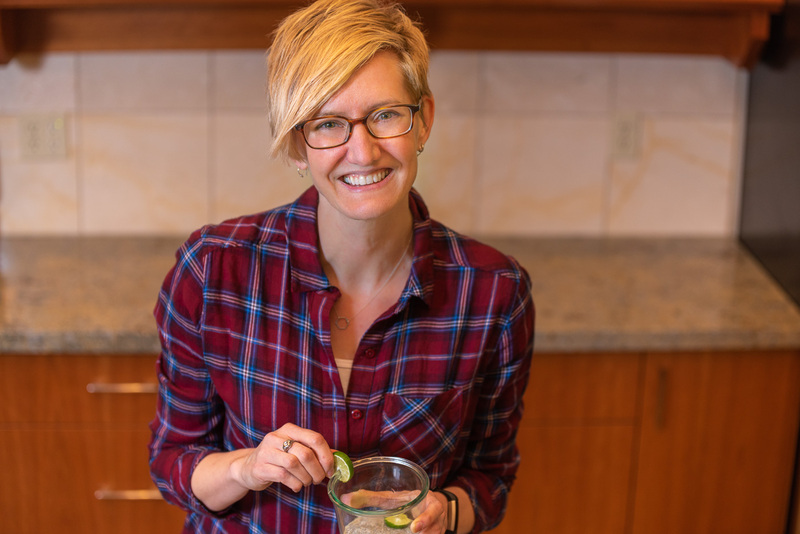 Sesame Kingdom took an underappreciated whole food ingredient in a new direction so we can use it in a new way in our kitchens, and more importantly in our mouths. So you might consider the possibilities of tahini spread the next time you’re staring down a bare naked bagel or pita. What do you think about this new frontier for tahini? Can you think of another basic ingredient in your cupboard that could be repurposed and enjoyed in a new way? Disclaimer: This is not a sponsored post. I purchased these Sesame Kingdom products myself and chose to do a review because I liked them and wanted you to know about them.